The tax bill created a 20% tax deduction for owners of pass-through entities, such as sole proprietors, members of LLCs, partners in partnerships and shareholders in S corporations. For example, when you operate an LLC and earn $100,000 in profits in 2018, you could deduct $20,000 before typical individual tax rates apply. To maximize the deduction, however, you may need to change the tax structure of your business. Keep in mind that the deduction is not available for certain businesses, such as law firms, accounting firms and doctors’ offices. The details surrounding this deduction can be complex, so it’s best to consult an experienced tax professional. The new legislation extended 100% bonus depreciation on qualifying business equipment through 2022. This means businesses can write off the entire costs of assets acquired and placed in service in 2018. The bonus depreciation will decrease to 80% in 2023, 60% in 2024, 40% in 2025 and 20% in 2026. The TCJA also accelerated the ability to expense the purchase of a new business vehicle, so now may be a good time to consider this option. Because tax deductions for certain business expenses have been eliminated (or reduced), you’ll want to minimize these expenses. For example, you only can deduct 50% of the costs of most meal expenses, with NO deductions for entertainment expenses starting in 2018. This means you can deduct half the costs of a business meal when you’re entertaining a client, but not the bill for treating this client to a baseball game or concert. Other eliminated deductions include transportation benefits for employees, such as expenses for parking, taking mass transit and commuting. 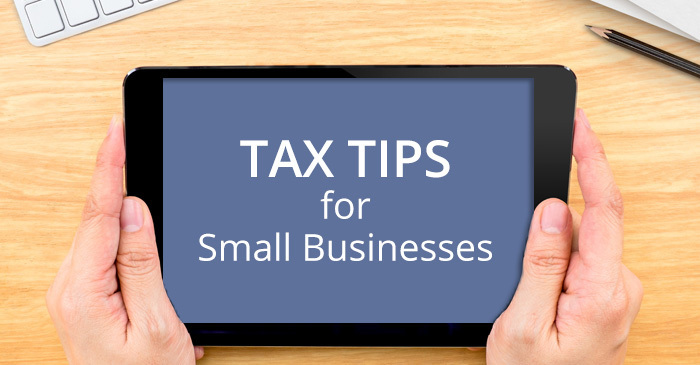 Without careful recordkeeping, you may pay additional taxes due to missing tax deductions and other overlooked tax benefits. Consider hiring a professional or investing in quality software to help you manage the process year-round. Accurate recordkeeping can lead to a more attractive tax return, and sloppy paperwork could result in an audit and stiff IRS penalties. It’s a smart idea for sole proprietors or partners in partnerships to make quarterly estimated tax payments to pre-pay their 2018 tax bills. The first installment was due on April 17, and the remaining quarterly payments are due on June 15, 2018, September 17, 2018 and January 15, 2019. Remember: Neglecting to make payments can lead to larger tax bills and possible penalties, so timely estimated payments should be a priority.